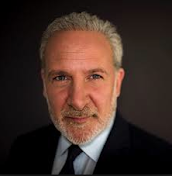 Peter Schiff On The Markets: Is Yellen Going To Raise Rates? If Janet Yellen is true to her words and she says she is data dependent, well based on all of the data, she is not going to raise interest rates. The only way she is going to raise rates is if she ignores the data and raises them anyway.